Medical Malpractice Help » Medical Malpractice Causes » Hospital » Can You File A Medical Malpractice Lawsuit For A HIPAA Violation? Find out the difference between medical malpractice and a HIPAA violation and what type of lawsuit you are eligible to file. What Is the Difference Between a HIPAA Violation and Medical Malpractice? When Do Medical Malpractice and HIPAA Laws Intersect? When Are HIPAA Violations Not Considered Medical Malpractice? How Can I Talk About My Potential Case With a Medical Malpractice Lawyer? The Health Insurance Portability and Accountability Act (HIPAA) sets rules on how doctors, hospitals, insurance companies, and other healthcare providers must handle your private medical information. When a provider violates HIPAA privacy and security laws by carelessly handling your sensitive information, you might be eligible to pursue legal action against them. A HIPAA claim is typically a separate issue from a medical malpractice claim. In some instances, though, HIPAA violations have been cited as a contributing factor to medical malpractice. A lawyer from Medical Malpractice Help can help you determine if you can file a medical malpractice lawsuit for a HIPAA violation. We offer free case evaluations, where we answer all your questions and go over your legal options. To schedule an appointment with one of our medical malpractice lawyers, call our office today at 855-633-2757. HIPAA violations and medical malpractice are serious breaches of professional conduct, and both have the potential to endanger patients’ rights. However, these are two different areas of the law, and they rarely overlap. Medical malpractice refers to a situation in which a doctor or healthcare provider fails to meet the standard of care expected of their profession. If you undergo medical treatment and feel the doctor was negligent or otherwise provided a substandard level of care, you can pursue a medical malpractice claim against the doctor. 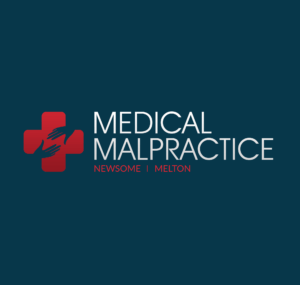 It is important to note that medical mistakes do not necessarily qualify as malpractice. To qualify for a medical malpractice lawsuit, the doctor must have violated a “reasonable person” standard. In other words, would a reasonable person—possessing the same education and training as the doctor in question, and faced with the same situation—have provided a higher level of care? If so, grounds for medical malpractice exist. HIPAA laws uphold a patients’ rights to privacy, not the level of care they receive. These rules protect the security of health information. HIPAA violations result in fines and sanctions, up to and including loss of privileges to practice medicine. Criminal charges might even result in instances of repeated or willful breaches of HIPAA standards. You generally cannot sue on the sole grounds of a HIPAA violation. However, you might have other options available if a doctor violated your privacy. For one, HIPAA rules overlap with many state laws. While a patient cannot sue based on HIPAA, they might be able to pursue damages based on a violation of state law. Also, in many states, HIPAA implies a contract between a patient and a covered entity. A violation can constitute a breach of that contract, which would allow the patient to file suit. HIPAA laws overlap with medical malpractice rules when it comes to a doctor’s responsibility to maintain a patient’s privacy. To win a medical malpractice case on this basis, the plaintiff’s attorney must make a strong case that the provider’s standard of care includes following HIPAA regulations. An Indiana plaintiff’s attorney achieved that in a 2014 case. The lawyer convinced a jury that the defendant, a Walgreen pharmacist, breached the standard of care when she divulged confidential information about the plaintiff’s medical history and prescriptions. Employees gossiping or talking too loudly about a patient’s medical history in earshot of others not privileged to the information. While divulging information from your medical records is generally not considered malpractice, forging or changing your records could be grounds for a lawsuit. If there is evidence your doctor altered your medical records, you might have a valid medical malpractice claim. Our attorneys can examine the details of your case determine if you can file suit. Whether your claim is about a HIPAA violation, medical malpractice, or both, the lawyers at Medical Malpractice Help can help you pursue fair compensation from the party that caused you harm. To schedule a free case evaluation with one of our team members, call 855-633-2757 today.